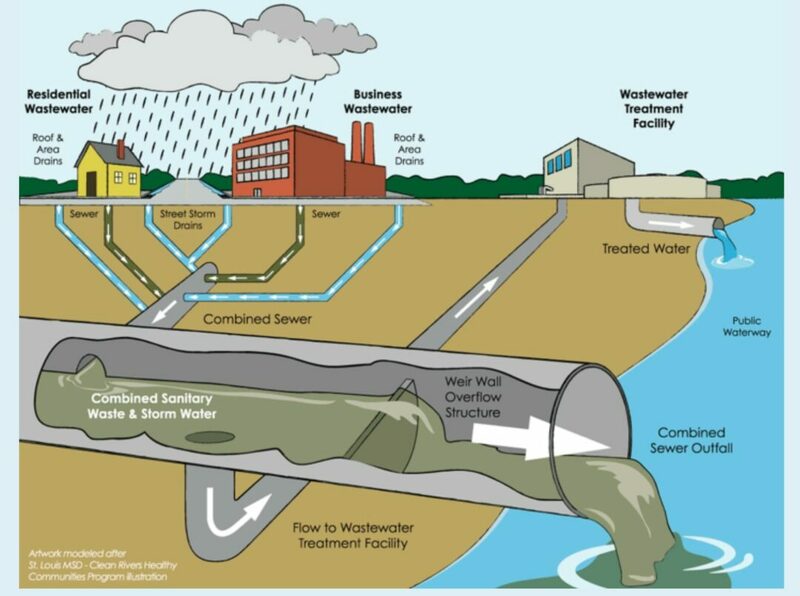 NEW YORK — Environmental Advocates of New York has released an addendum to a report published last year analyzing sewage pollution in state water bodies used for drinking and recreational activities, caused primarily by poor wastewater infrastructure leading to sewage system overflows. At the time the analysis, Tapped Out, was released, information gathered by the New York State Department of Environmental Conservation (DEC) revealed that there had been 2,696 reported sewage overflows between May 2013 and June 2015. More recent data from DEC shows that there were an additional 7,991 spills reported between June 2015 and July 2017. While the increase in reported spills is significant, 273 percent since data collection began in May 2013, EANY said the DEC database still indicates significant underreporting and, in many cases, a complete lack of reporting. Gov. Andrew Cuomo signed the Sewage Pollution Right to Know Act in 2012, which requires that discharges of untreated or partially treated sewage are to be reported publicly owned treatment plants and sewer systems within two hours of discovery to DEC and within four hours of discovery to the public and adjoining municipalities. “If any untreated sewage were to be discharged into the Hudson River from our facility, our staff is required to notify the NYS DEC,” said Bethlehem’s Commissioner of Public Works George Kansas, explaining that staff at the town’s wastewater treatment plant monitors all flows into and out of the plant. In Bethlehem, he said, the storm water sewer system is separate from the town’s sewage collection system, which makes toxic discharges far less likely when there are heavy rains. Many neighboring municipalities have combined systems, which are more prone to discharge. “The Act was meant as a proactive means of disclosing sewage overflow information to potentially impacted people,” wrote EANY’s Elizabeth Moran, “and drew the spotlight on the root cause: a wastewater infrastructure in dire need of investment.” Moran said the “failing system” is discharging an estimated tens of billions of gallons of raw sewage into local waterbodies every year. A 2004 report by the U.S. Environmental Protection Agency (EPA) estimated that there are as many as 5,000 cases of illness at state-recognized beaches each year that can be attributed to recreational exposure to the waterborne pathogens, parasites and other disease causing organisms found in untreated sewage. EPA also acknowledged those numbers are likely conservative. EANY said a lack of adequate regulations for implementation was one cause of the severe underreporting during the early years of the Act, and noted that reporting increased by 153 percent the year that final regulations were adopted in November 2016. Those regulations require immediate reporting, no exceptions, from all publicly owned wastewater treatment facilities and publicly owned sewer systems. According to reporting from a Niagara Falls wastewater treatment plant, 143,874,600 gallons of untreated sewage was discharged into the Niagara River in just one month — July 2017. According to EANY, this is directly due to outdated infrastructure. In 2014, State Comptroller Thomas DiNapoli released a report in which he identified an $800 million annual funding gap for wastewater infrastructure needs alone, funding for which EANY is advocating. In addition to bringing WIIA (New York’s Water Infrastructure Improvement Act) funding to $800 million annually, EANY is also advocating for increased staffing at DEC to enforce the Sewage Pollution Right to Know Act as well as financial support for municipalities to improve their monitoring and reporting practices. $977,000 to Washington County Sewer District Two to relocate a combined sanitary/storm sewer main from private property to a public right of way,separate sanitary and storm sewers and install new sewer lines. In 2017, Albany County also received more than $10 million in WIIA funding to upgrade wastewater treatment systems.